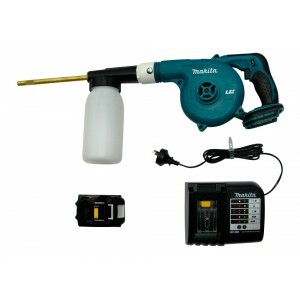 The Makita MT Dust Blower combines a Makita Blower with a special dust bowl attachment for the application of insecticidal dusts to roof voids, wall cavities, sub-floors and other areas requiring dusting. 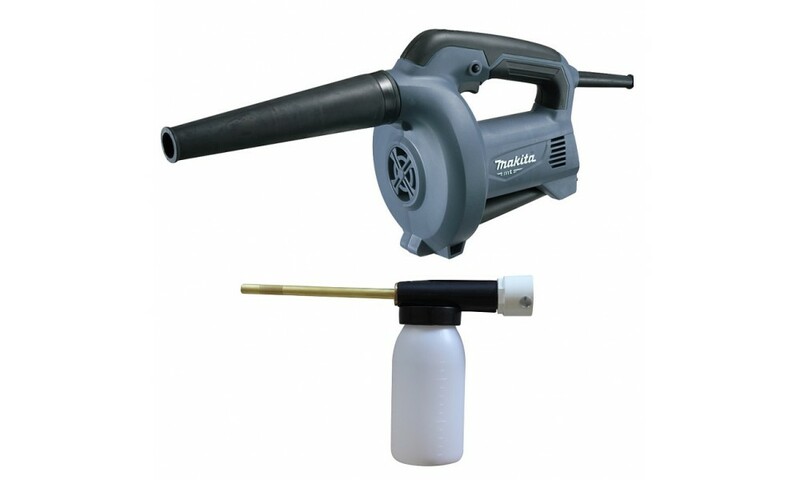 The specially made dust bowl attachment is designed to fit the end of the Makita MT Dust Blower effectively converting a regular blower into a handy pesticide application tool. 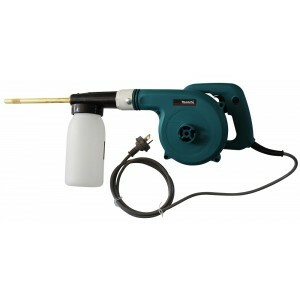 The Makita MT Dust Blower is perfect for crack-and-crevice pesticide application making it the ideal duster for both large and small areas in commercial, residential & industrial situations. 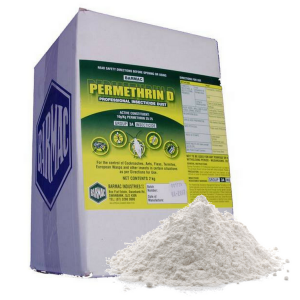 Suitable for use with all types of insecticide dusts including Coopex Dust, Dragnet Dust, Permethrin D, Ficam Dust, Diotomaceus Earth and others. 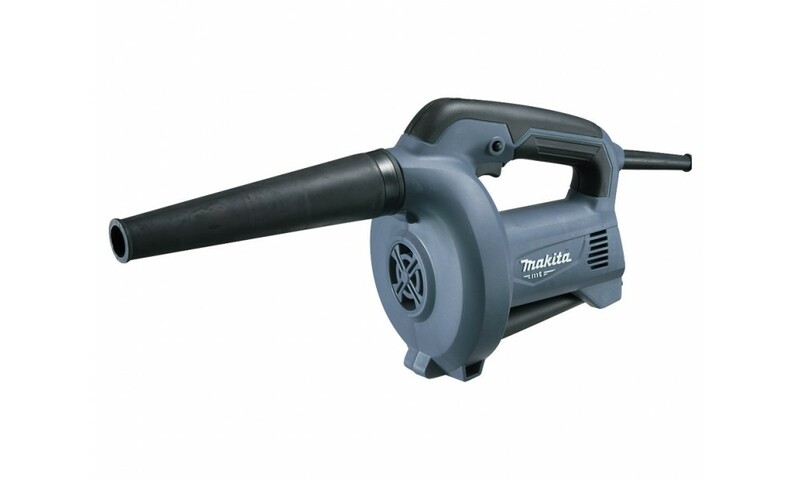 The Makita MT Dust Blower allows the application of just the right amount of dust into the targeted void reducing wasted product and amplifying the usefulness of any pesticide dust. A duster is a piece of equipment used in the pest control industry to apply a dry, powdery form of pesticide commonly called dust. 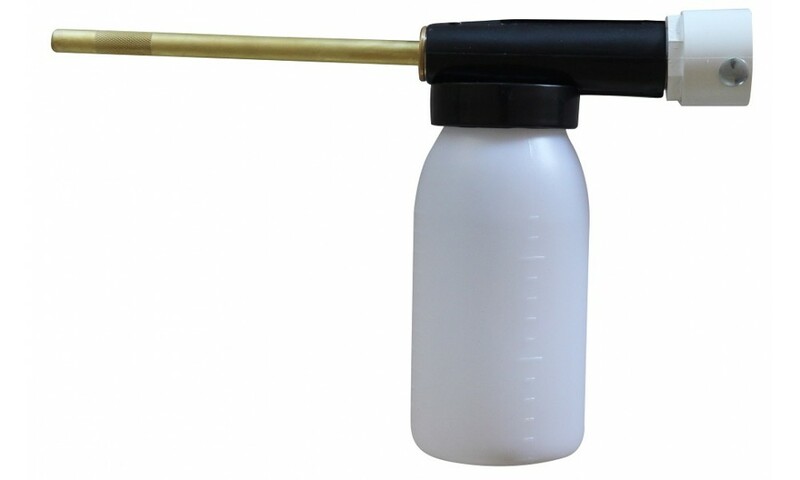 The advantage to using a duster to apply types of dry formulations of pesticides is that the user avoids coming in contact with the pesticide. 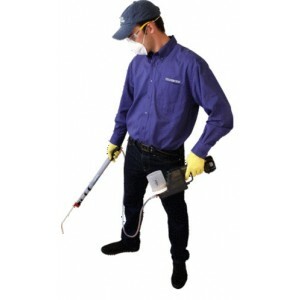 There are different types of dusters used for different situations depending on the type of pesticide applied and how precise the application must be. 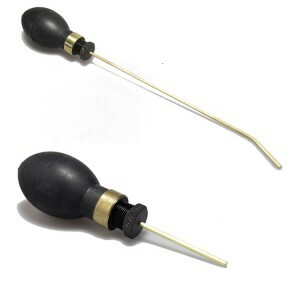 The two main types of dusters are power dusters and hand dusters. Indoors, dusters are used to treat cockroaches, silverfish, ants, and other insects that hide in cracks or in wall voids. 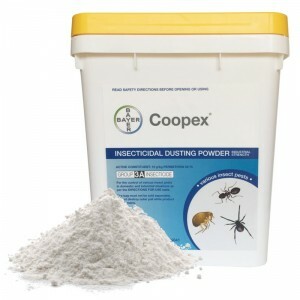 Outdoors, dusters can be used to treat the perimeter of buildings to prevent ants, cockroaches and other insects from coming inside. 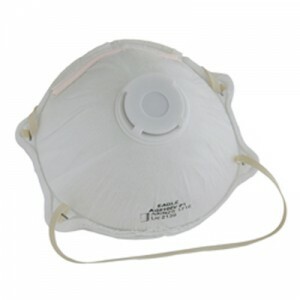 Dust pesticides can be difficult to apply properly. There is a learning curve to applying a thin layer of dust rather than clumps of dust. The thinner the dust layer the more likely that insects will walk through it. 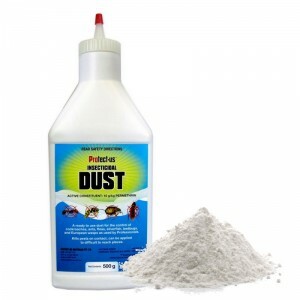 The duster's chamber should not be completely filled with dust when loading it with pesticide dust. Leave air space in the chamber so the dust doesn't clump up and will blow out of the duster evenly. Make sure the dust is not exposed to moisture or dusters can get clogged. You will need to shake the duster occasionally or rotate the device to create the desired air/dust mixture.